Members of the Church of God International holds fundraising concert. Bro. Eli Soriano and Bro. 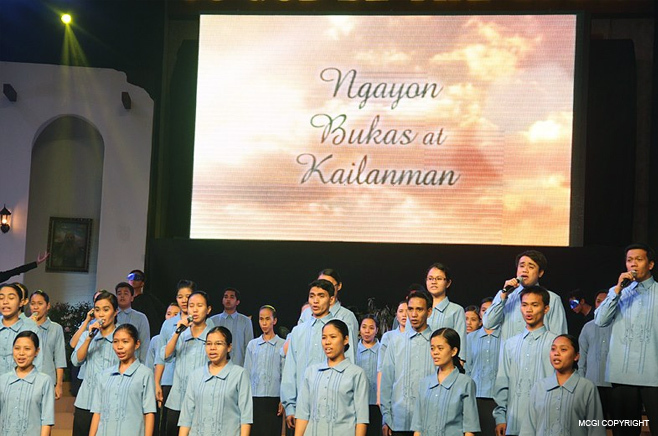 Daniel Razon led the congregation to a meaningful night of songs, moving pictures, and great performances in one charity concert titled, “Ngayon, Bukas at Kailanman,” held on December 24, 2012. 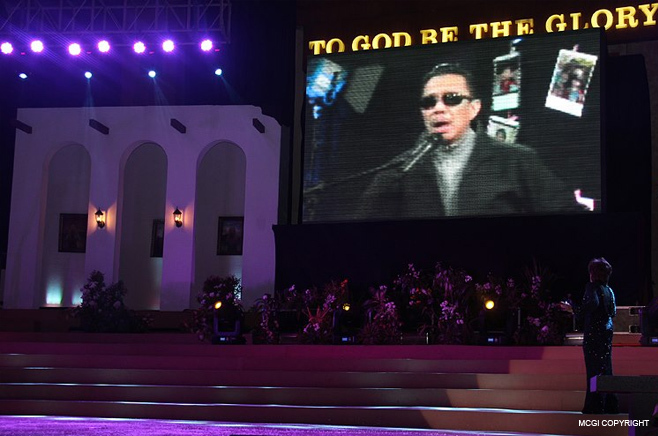 Especially dedicated for the families of Members Church of God International (MCGI), the concert started at around 8 p.m., just few hours after the Three-day International Thanksgiving for the end quarter of 2012. The Music Ministry Core started the music playing for Ngayon, Bukas, Kailanman fundraising concert on December 24, 2012. “You know the reason why we are doing this (concert) … which is for the glory of our God,” said Bro. Eli. He added that the aim of the concert is to raise funds for the construction of a bigger convention and conference facility in the National Capital Region dedicated for the millennial reign of Jesus Christ. 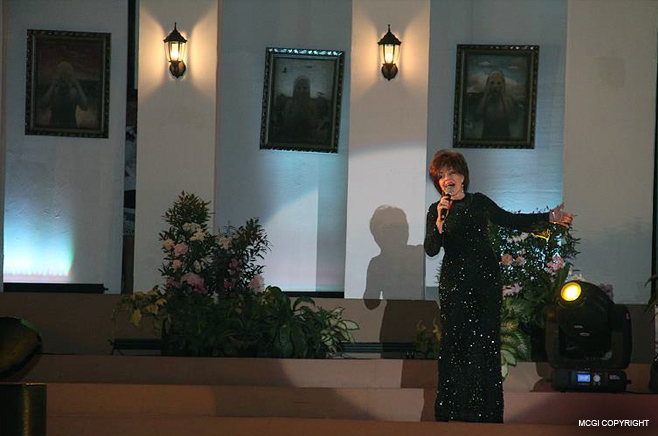 Asia’s Queen of Songs, Ms. Pilita Corrales, graced the fund-raising concert as she sang Filipino classics that her timeless voice made unforgettable in the hearts of many. 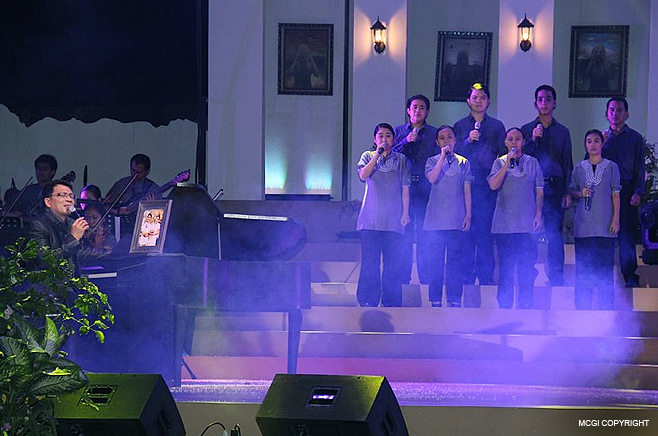 The family concert featured heartfelt interpretations of songs of love from Bro Eli. and Bro. Daniel with special guests, Ms. Pilita Corrales and Hammilan. 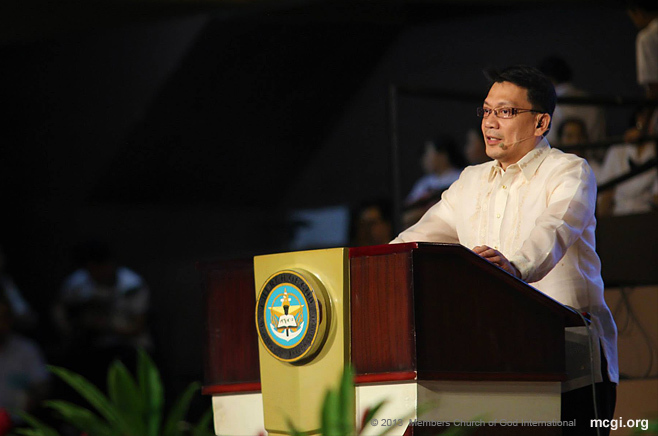 The MCGI’s Teatro Kristiano and Music Ministry also performed during the event. Ms. Pilita Corrrales stood by the big LED screen as she waited for her singing partner, Bro. Eli Soriano, to finish his part in one of the songs during the fund-raising event. The key performances of the evening serve as punctuations in every clip of the short film presented during the concert. Conceptualized by Kuya Daniel, the motion picture starred Boots Anson-Roa, Dante Rivero, Isabel Oli, JC De Vera, Louella De Cordova, Richard Reynoso, and Kuya Daniel Razon. 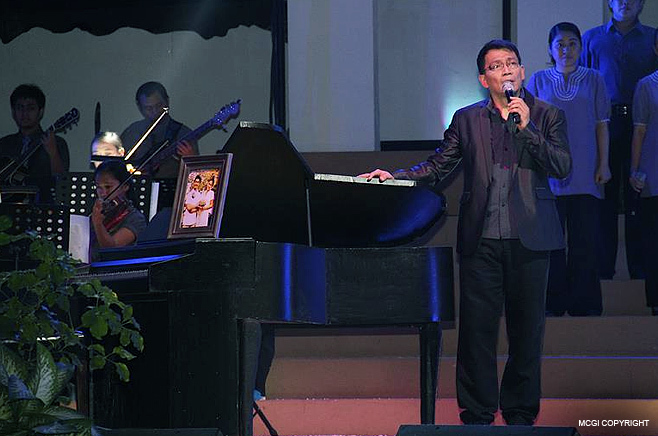 Known in the Philippines as Mr. Public Service, Kuya (Big Brother) Daniel Razon, together with the Music Ministry Core, renders his musical talents for the Church’s benefit concert. Bro. Eli mentioned during the concert that the convention center will be built in a six-hectare land in the Metro Manila area, which can accommodate double the number of people that the ADD Convention Center can handle. 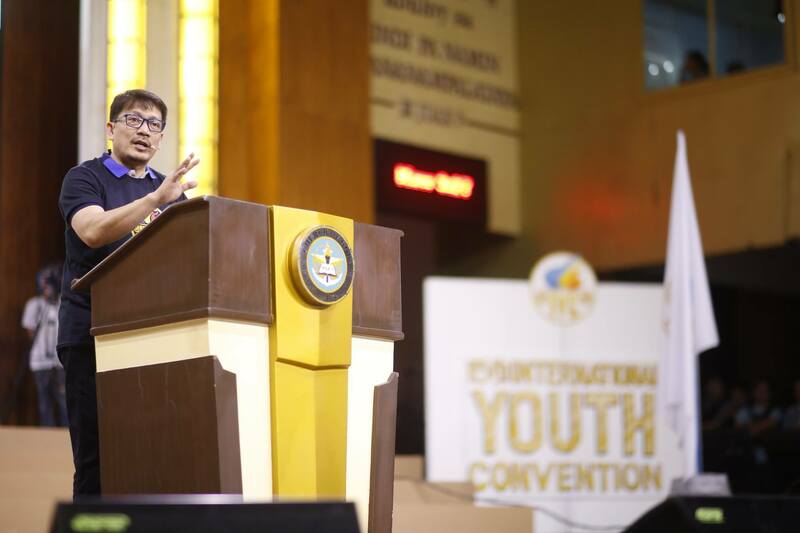 Regarded as one of the biggest in the North Luzon region, the MCGI Headquarters in the Pampanga province is venue for the organization’s many international gatherings capable of holding up to 50,000 people. Bro. Eli and Bro. Daniel have done fund-raising concerts in the past inspired by the will to do good to all men, as written in Galatians 6:10. 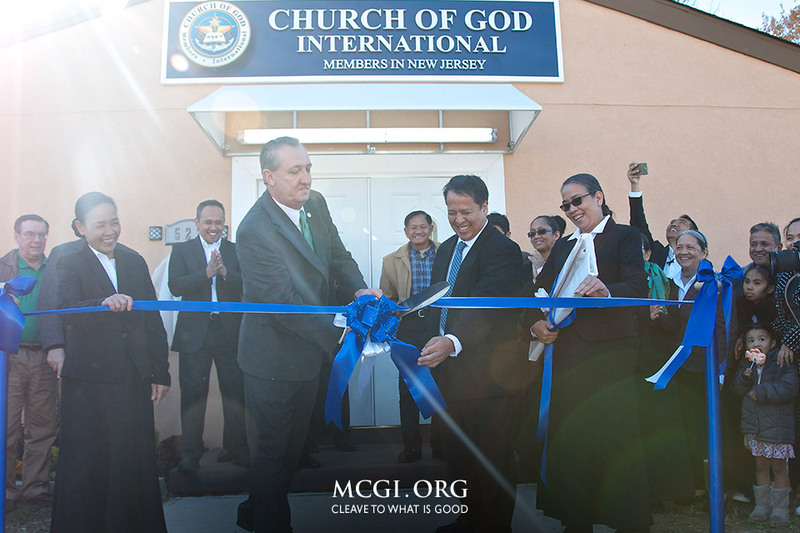 Earlier concerts organized by MCGI benefitted the organization’s maintenance of its charity works, which include its feeding and free education programs. 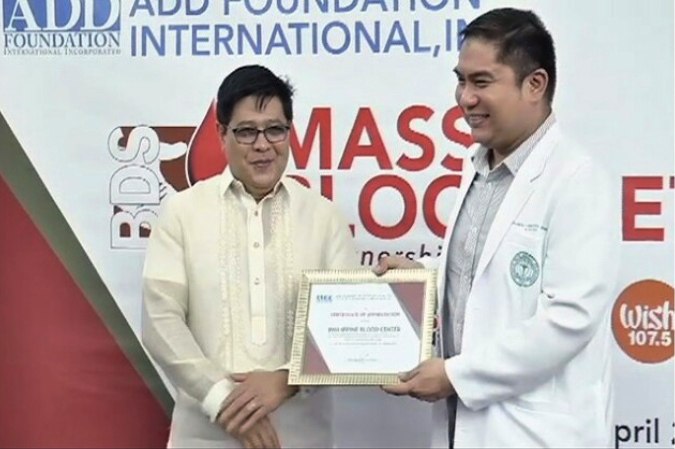 The construction of the Transient Home building in Quezon City and the La Verdad Christian School branches in Apalit, Pampanga and Caloocan City was partly-funded by similar charity events held in he past years. The most recent concert at the ADD Convention Center was held in November titled, “Keeping the Love Alive,” where Air Supply was the special guest. This followed the “We Are Blessed” concert in April with The Cascades.